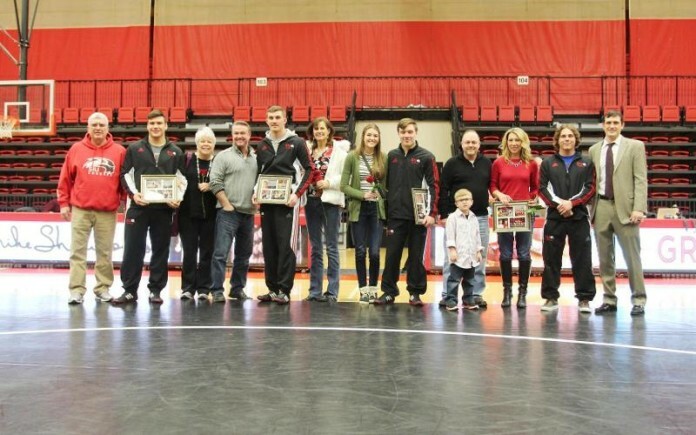 EDWARDSVILLE, Ill. – When it came down to the final match of the day, senior Chris Johnson wanted to make the most of it for the SIUE wrestling team. Johns posted an 8-0 major decision at heavyweight over Campbell’s Jere Heino, giving SIUE a 24-18 victory over the Camels. SIUE finished the Southern Conference season with a 3-3 record, good enough for its best-ever finish in fourth place. SIUE had to come from behind in the match after Campbell raced out to an 11-0 lead after two matches. The Cougars won the next three matches with decisions by Trevor Feagans at 141 pounds, John Fahy at 149 pounds and Erik Travers at 157 pounds. 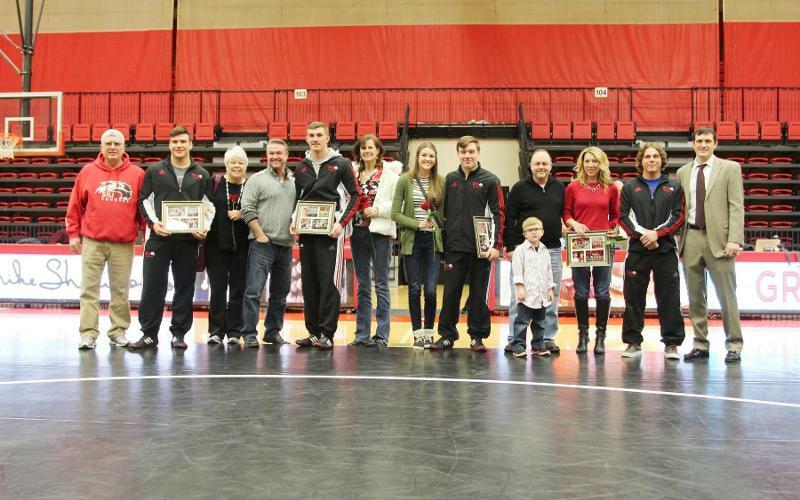 That put the match at 11-9 heading into the break that introduced SIUE’s four seniors to the crowd – McMahon, Johnson, Brandon Brindley and Derek Nagle. Campbell regained some momentum with a 3-2 victory by Paul Duggan over SIUE’s Nate Higgins at 165 pounds. SIUE took its first lead of the match as a team when McMahon pinned Alex Vosburgh in 4 minutes, 27 seconds. McMahon, an NCAA qualifier last season, is now 6-1 this season after sitting out most of the season with an injury. “It has been painful not being able to help the team out,” said McMahon. Jake Tindle also earned a big victory with a 19-3 technical fall over Austin McNeil at 197 pounds. “I didn’t think coming into the match that bonus points would be such a big thing. Obviously, Jake coming away with a technical fall was big,” added Spates. SIUE closes out the regular season next week with a dual Friday at Purdue followed by the US Western National Open Sunday in Colorado Springs, Colorado.